So you and your girls have a costume party, a hen party or just a fun night out coming up, and want to dress up? 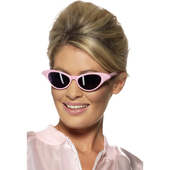 Channel Rizzo, Frenchy, Marty and Jan in our gorgeous Pink Ladies jacket and you’ll be the one that they want! This satin jacket is the official Grease licensed product, it zips up the front and has the Pink Ladies logo on the front and back – there won’t be any tears on your pillow when you pick it as your costume! 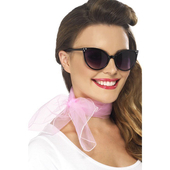 Finish the look with our Grease sunglasses and bowling bag, some skinny jeans and heels, and they’ll get chills! To customise the look you can pick up wigs in our accessories section, we have pink wigs for Frenchy, cute blonde ponytail wigs for Sandy, and for some serious attitude, short Rizzo wigs. For the Greasers in your group we have a full selection of T-Birds merchandise, including wigs and jackets, so head over to the men’s section and take a look! Don’t forget we offer free shipping on orders over €39, and for those of you who want your costume to arrive faster than Greased Lightning, we offer next day delivery on orders made before 4pm Monday to Thursday. Super quick delivery! Thin material so not to gonna keep ya warm! But fit for purpose! Order this costume and was impressed when it arrived earlier than expected. The words are stitched in, I expected them to just be printed on. Material is great for the price, its thin so don't expect it too keep you warm our doors but inside for a fancy dress party its perfect. Perfect for hen parties, I ordered 10 of these for my best friends hen. She loves the grease films, yes even the second one, so this really made her day. The material is very thin, which you'd kind of expect for it being a licensed product at that price. I got the hen the sandy costume and the wig too. Was very funny wearing them in the airport, we got a lot of odd looks. 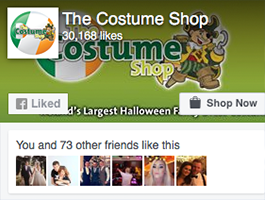 All in all I'd recommend these if your looking for a cheap costume or are buying for a group. Perfect for the hen night for my best friend. Brilliant price for a jacket. Love it, fit is true to size and delivery was really quick. Brilliant value for money, looked great on. Ideal for hen nights.